The white stone city of Amman, capital of Jordan, is notable for its seven hills; the impressive 6,000-seat Roman amphitheater built between 128 and 161 A.D. into the northern side of a hill that once served as a graveyard; and Citadel Hill, which towers over the city from atop Jabal al-Qala. 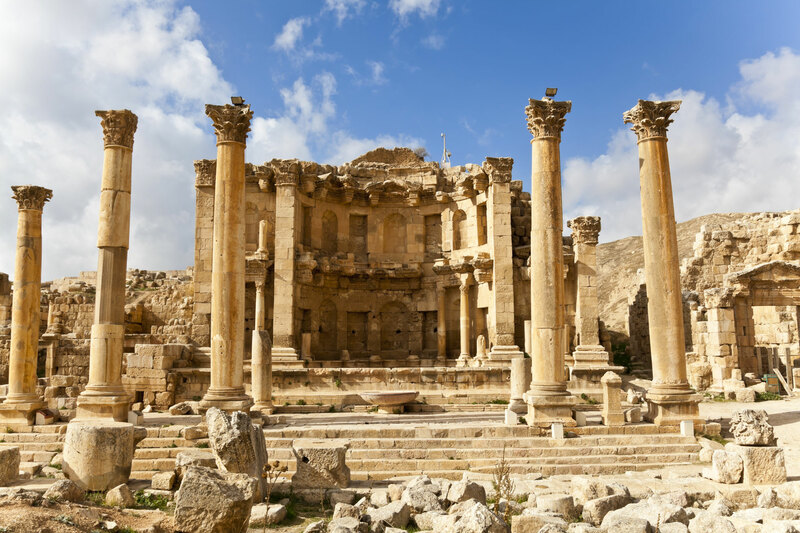 The nearby 3rd century ruins at Jerash, a beautifully preserved and once prosperous Greco-Roman city, span several centuries have been carefully preserved to tell the tale of its zenith and fall during the 12th century Crusades. 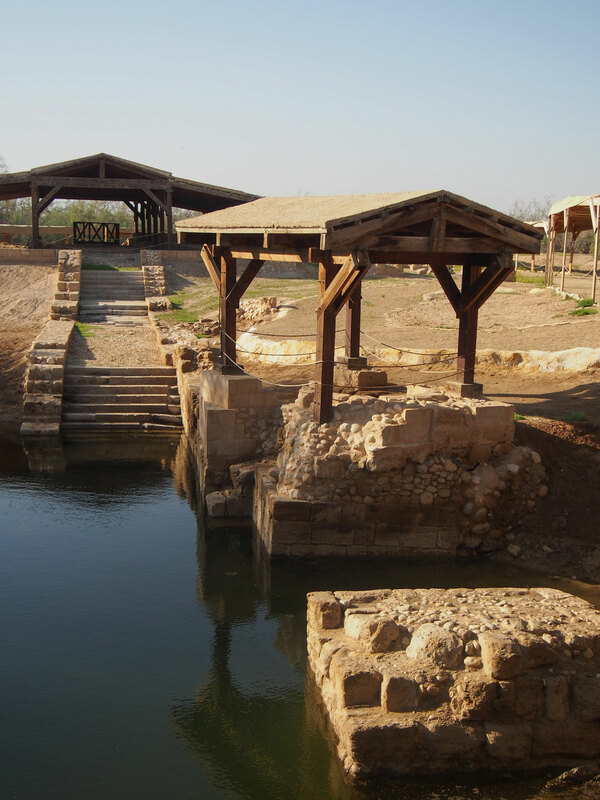 Byzantine Christian tradition holds that this is the spot, in the Jordan River, where John the Baptist baptized Jesus, putting it on the list of important Biblical places to see in Jordan. With its new visitor center, the site is fast becoming a major destination to see for Christian pilgrims from around the world. 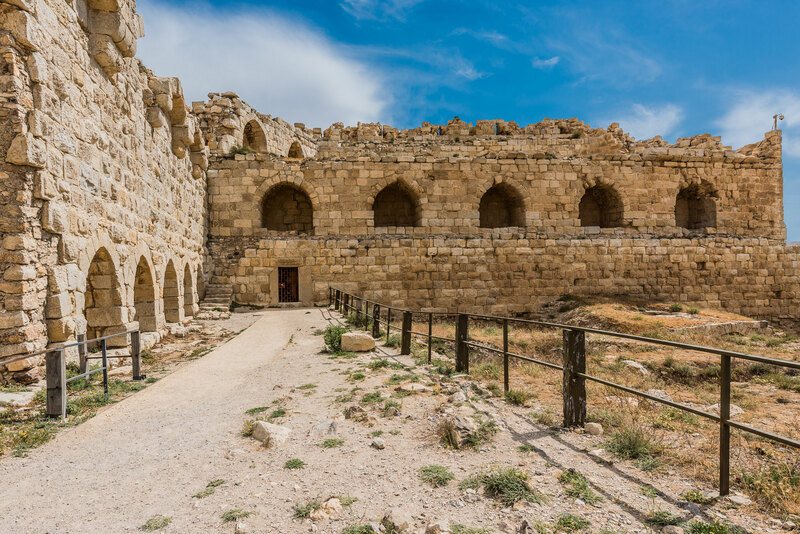 The King's Highway – Moses’s intended route to the Promised Land – leads to the 12th century Crusader fortress of Kerak, which was used as a base to control Bedouin herders and trade routes. At Madaba's St. George's Church, is found The Kings Way mosaic portrait of the Holy Land, the largest mosaic portrait in the world, dating from the 6th century. 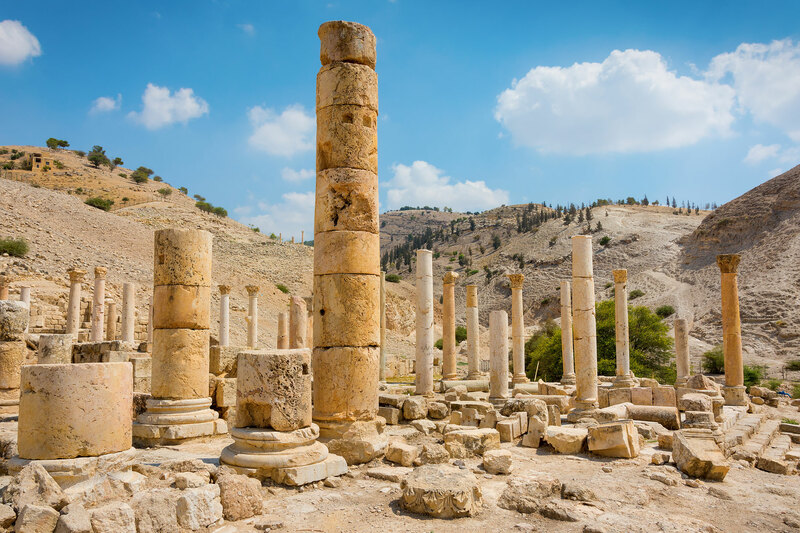 No Moabite temple had ever been recovered by archaeology—until the ruins of a well-furnished sanctuary at a site called Khirbat al-Mudayna were uncovered in 1999, placing this temple among the more exciting archaeologist discoveries in Jordan. The Moabites, a people living east of the Dead Sea, were neighbors of the ancient Israelites. Mt. 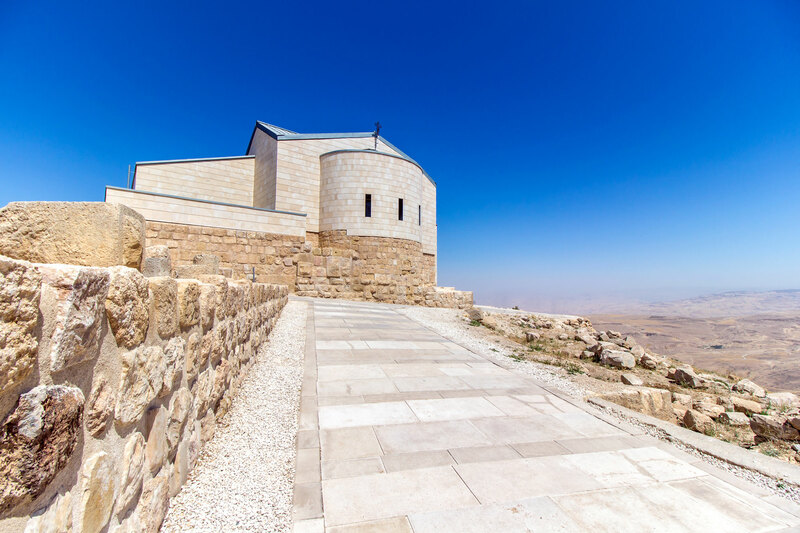 Nebo is a 1,000-meter mountain located 10km NW of Madaba, opposite the northern end of the Dead Sea. According to ancient tradition, Moses viewed the Promised Land from its peak before he died. Mt. Nebo has long been an important place of Christian pilgrimage. Excavations led by the Franciscans have uncovered significant remains of the early church and its magnificent Byzantine mosaics. The Memorial Church of Moses sits atop the ruins. The fourth-century church historian Eusebius of Caesarea tells of the earliest Christians’ escape to Pella from Jerusalem, just before its destruction by the Romans in 70 A.D. Several Byzantine churches dot the site and hold promising evidence of the Christian refugees. Under the northern apse of the West Church, Pella’s excavators have discovered a grave containing a 1st century Roman-style sarcophagus. 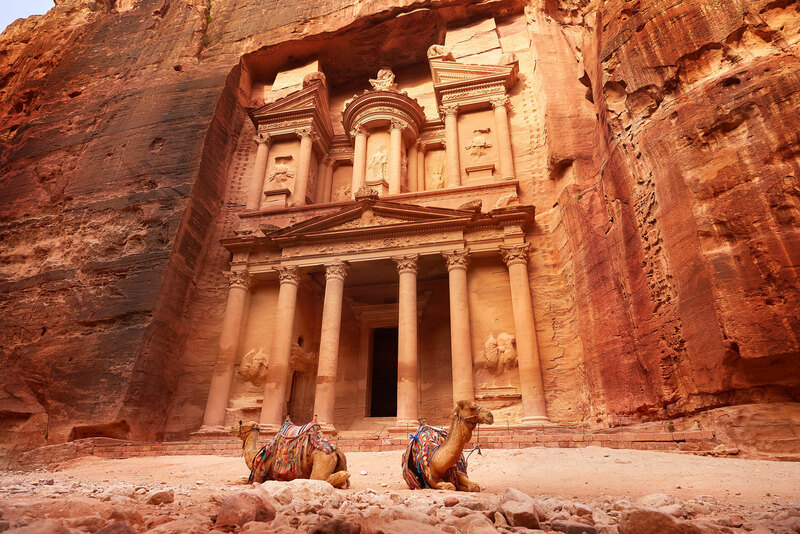 The rose-red city of Petra is one of the Seven Wonders of the World and, perhaps, world's most famous archaeological site. 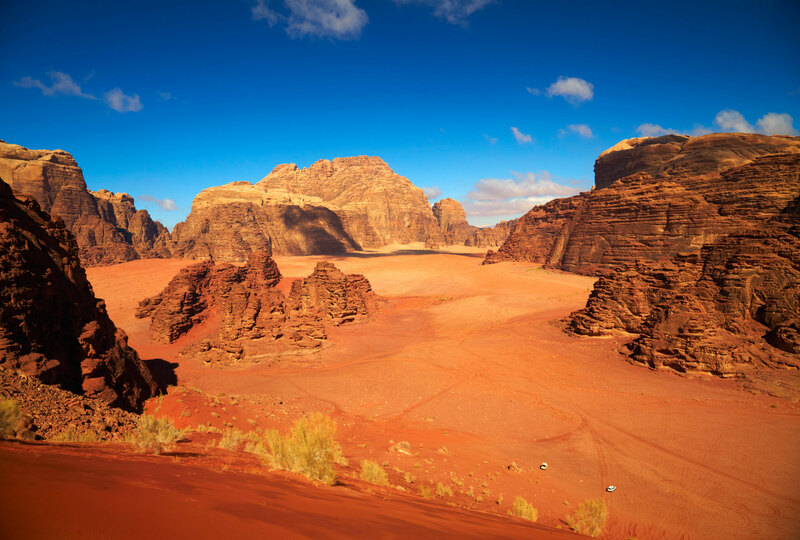 Carved into the sheer rock face over 2,000 years ago by Nabataeans, Petra was an important link in the Silk Road route where frankincense, myrrh and spices were traded. One enters the city through the Siq, a narrow gorge flanked on either side for over 1,200 meters by cliffs soaring 80 meters, which prominently feature Nabatean sculpture representing gods. The magnificent 40-meter façade of the Treasury, with its ornate decorations, sits at the gorge’s end. 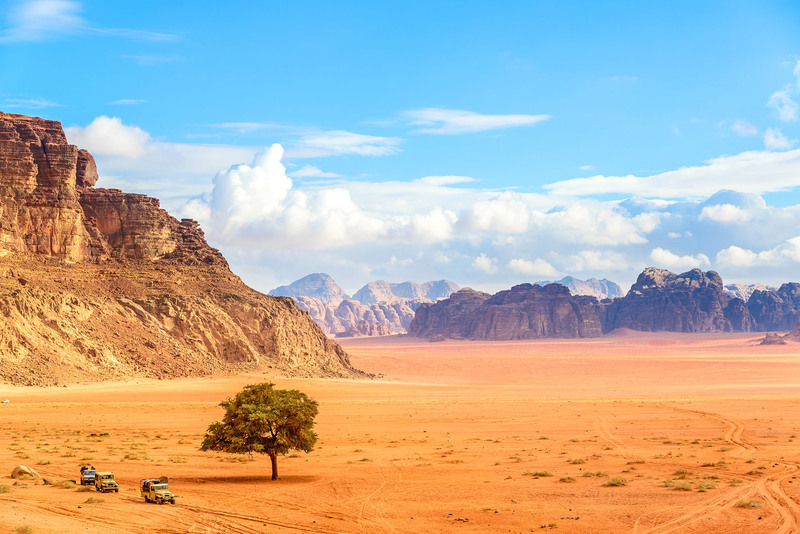 Stunning in its natural beauty, Wadi Rum epitomizes the romance of the desert with its “moonscape” of ancient valleys; towering sandstone mountains, such as the many-domed Jebel Um Ishrin; and natural arches to include Burdah Rock Bridge. It’s a protected desert wilderness with numerous prehistoric inscriptions and carvings lining rocky caverns and steep chasms, such as Khazali Canyon. The natural watering hole of Lawrence’s Spring is named after British soldier Lawrence of Arabia, who allegedly washed there.